Water has a significance part in Scripture and specifically for the days in which we live. Scripture we are told that God�s voice sounds like many rushing waters just prior to Christ�s return. Listen to this interesting episode on the power of water throughout scripture. Just as water is necessary to the sustenance of life, it is necessary for the world as a whole as God prepares the world for some upcoming significant events. Water was used to perform 37 miracles in scripture and has been shown to have over 15 unique uses in scripture at significant times. You will be amazed at the metaphors of water and the real water eco-system that God has put into place. A revolutionary message that challenges us that God has not cursed humanity with the disorders we label ourselves with. Rather, God has blessed a broken and dysfunctional world with the very things we label as dysfunctional. As our world is reaching its linear-end, God has given us minds that think conceptually to solve problems that are perplexing the linear world. Gaye Cartwright, teacher to some of the most brilliant minds who have been labeled will be joining us in a special interview that may shock every listener. Renee Moseman has lived a life of expectancy to see the things of the Kingdom of God. She has been on a journey of expectancy and obedience since 1977. Her journey of expectancy took her too many spiritual heights and depths that have resulted in a recent 360 degree view of God's vastness, greatness, and visions of soon return. She has traveled from a realm of the supernaturally unknown to the realm of the known as she has learned to listen and receive visions from the throne room. Renee's journey recently took her to Israel where she witnessed numerous angelic visitations that manifested God message to her and the world. Join us as Renee shares a life of expectancy that produces a joy unspeakable and full of Glory. Jesus foretold that as our times intensive that people's hearts would fail them due to fear (Luke 21:25-26). Listen as we share the number of situations from the Wisconsin budget Bill, 100s of recently earthquakes in Arkansas and stress which are causing fear to rise. Don�t be alarmed as these times will intensify but the faithful will be fine while the fearful will fail; thus men�s heart will fail them because of fear. Listen as Mark Halvorson also shares words from his interview with Wisconsin Governor Scott Walker. Listen as we share how a vision occurring by a Christian Lawyer in India in 2006 helps connect Biblical Prophecy with modern day events. In this first part of a three part series we will be sharing the �why� and �how� of the Birds have been dying, based on this prophecy. This opening session will enlighten people to the reality of the exciting, strange, and bizarre events that are occurring on a more frequent basis. It will also illuminate your understanding on why things are happening versus how they are happening. Part 1 � Why are all the Birds Dying? Listen as we share how a vision occurring by a Christian Lawyer in India in 2006 helps connect Biblical Prophecy with modern day events. In this first part of a three part series we will be sharing the �why� and �how� of the Birds have been dying, based on this prophecy. This opening session will enlighten people to the reality of the exciting, strange, and bizarre events that are occurring on a more frequent basis. It will also illuminate your understanding on why things are happening versus how they are happening. Nationally Known Pentecostal Reference Archivist, Glenn Gohr, will join us for an amazing look at the importance of connecting the past with the future. Glenn Gohr is a nationally known archivist of spiritual leaders, events, and religious movements from the past. Glenn is also a connector of modern day ministers who hunger for the manifestations and knowledge of what God is doing in the present day. 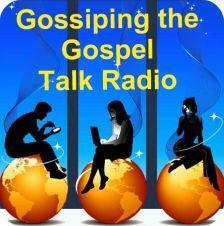 Join us for a great interview on how spiritual connectivity is moving at an unprecedented rate. If you have ever heard of the concept of six-degrees of separation you will be amazed at the possibility that God predicts a heavenly concept called one-degree of separation. Great NFL player Reggie White is remember in many ways as one of the greatest players in NFL history. However, from a heavenly perspective Reggie White�s name has far greater power than an NFL player. His nickname Minister of Defense was taken more literally than people could have ever imagined. This episode will focus on the greatest spiritual player that the world has ever known. During the last days of Reggie White�s life he had an amazing dream that changed how Reggie viewed life�s ultimate game and outcome. This lead right up to his death on the same evening that the world shook as the Indonesia tsunami occurred, December 26, 2004. Listen to more details about the exciting life of Reggie White. A moving testimony of God�s powerful manifestation between the classroom of Oral Roberts University, and the marketplace and mission fields of South America. Dr. James Russell will be our guest and enlighten the audience on the miracles he sees that span the classroom, the market place and the mission field. Dr. Russell has been the connection between thousands of students and the marketplace, as well as the mission field from 2000 � 2009. Dr. Russell is the Dean of the Undergraduate Business Program at Oral Roberts University and leads Business Missions trips to Buenos Aires, Argentina, Paraguay and Costa Rica where students experience how God manifests miracles through business, church leaders, and the outreaches his student teams participate in. The students put on business workshops during the day, and 1,000 to 1,500 people attended each one. In the evenings, 3,000 gather for worship in buildings equipped to handle no more than 2,500. The Business mission trips have resulted in thousands of physical and financial healings. Students continue to testify how the triangular experience has changed their lives. Dr. Russell will also share how the power of God took him from teaching at some of the finest universities across America to the Greatest University called Oral Roberts University (ORU). At ORU Dr. Russell believes the finest students in America arrive to receive a business degree and life changing experience unlike any other. Dr. Russell continues to believe that God will bring a massive revival through the business world, and that many of his students have received a foretaste of what the business world is about to witness. At the triangulation, or the center of the classroom, business world, and mission field God is showing His ability to meet humanity�s needs. Reverend Henry and Terry Ingram were pastors in Stockton California for 25 years. They have experienced the great triumphs and great defeats of serving as leaders and pastors in a community and church. Henry and Terry desire to share from their heart what they believe may help pastors and congregants around the country. The function of a modern day pastor has morphed into a position that threatens the health of every pastor and congregant due to the scriptural evidence of the last days. Listen to the great challenges and admonishments of two veteran ministers who love the Body of Christ but have grown to despise the workings of a man-made church. If you are a hurting minister, you do not want to miss this exciting episode. Aired on Nov. 14, 2010 - Listen to a new form of worship that comes from the hearts of people, is personalized, shows God how you really feel, and includes anyone who is interested. Don�t miss how this simple and liberating form of worship through simple thanksgiving applies to your life. Who is Included in Your Cloud of Witnesses? If you are paying attention to what is transpiring in many circles there is a clear sign of the increase in 1) People dying and going to be with the Lord, 2) More people experiencing out of body experiences or visits to heaven through temporary death or visions, and 3) More people having dreams about heaven. The exciting part of this increase is that there appears to be more and more excitement about heaven, and less fear of death. This also shows that a spiritual maturity is occurring as people are eagerly focused on the things above the earth; rather than just our temporal life (Colossians 3:1-2). The reason Pam and I are so excited is that we have seen personal visions, heard from others, and read in scripture that we not only have a cloud of witnesses that include the great people of the Bible; but our great cloud of witnesses include our contemporaries. They include our family, friends, relatives, and great ministers who we know are in heaven being 'witnesses on our behalf.' Hebrews 12:1-2 states "Seeing we are encompassed about with such a great cloud of witnesses let us set aside every weight and sin that so easily besets us and run with patience the race that is set before us." It's time we all open our spiritual eyes to see, hear, and appreciate the great cloud of witnesses that God has prepared for us. Rejoice as your loved ones go home to be with the Lord, and enter your side of the tug-of-war. Rejoice when some of the greatest ministers go home to be with the Lord and can now see salvation from a heavenly perspective. Listen to one of the greatest testimonies of salvation and healing through the words of James Gale. At the age of 15, James was in a hunting accident that blinded him. He regained partial sight in one eye, but a few years later through a car wreck, lost almost everything that was regained. With no hope of working a natural job, James turned to his music and played locally in Wisconsin. He traveled with road bands until 1971, when he met the Lord Jesus Christ in a motor hotel where he was playing in Canada. In 1970, James recorded country music in Hollywood California with Thorn Nogar, producer of the music part of the Lawrence Welk show. James even did a show with Marvin Rainwater when he was a teen-ager. He played in the tour of homes in Nashville with Bob Thaxton, Nashville musician, in Tom T. Hall�s home while people toured his home. He was also the guest of Shotgun Red on the world�s largest showboat called the General Jackson in Nashville. While on the boat, he played and sang with Shotgun Red�s group. His life�s story was done on a Pacific Garden Missions program in Chicago called Unshackled. James has been on two Southern Gospel Compilation radio CD�s that was distributed nation-wide in the southern gospel field that was done in Nashville at Nusong Records produced at the Somner studios. James has been a featured guest at the Red Barn Opera House in Springfield�s Nebraska. He has also been on television shows in Canada and the United States. Tony Booth , JD. Maynus, Anthony Burger and other top musicians have played on his records. He has played in Canada, Jamaica, Mexico and various places in the States. He has also performed at the Namm show and the CAAS show in Nashville demonstrating picks for the Fred Kelly Guitar Pick Company. James has an associate degree from Kingsway Bible College in Des Moines, Iowa and a BA Degree from Sweet Waters Bible College in Glendale, Arizona. Aired on Sept. 26, 2010 - If Your Going Through Hell Don't Stop! Aired on Sept 19, 2010 - Ordinary People � Listen to why God uses ordinary people to fulfill His will. If you are an ordinary person you did not want to miss this episode. This session is for anyone and everyone who feels under privileged. God is no respecter of people and choose to use the most ordinary and unlikely people to fulfill His plans. Are you dreaming more? This segment will deal with the increase and power of God's dreams that are being poured out just like Scripture promised in Acts 2:17-19. Listen as we share from numerous people and resources the significance of dreams and visions that are occurring on a regular basis. Learn why dreams are the universal langauge that God chose to use to reach humanity. God�s Healing Power � Listen as a Michelle Nevin shares a powerful testimony of how God healed her desperate health circumstances. If you or anyone you knows needs a healing, you do not want to miss this touching testimony. Michelle came to a small church on a Friday night at an old Feed Mill in rural WI. She came with a desperate need and heard a powerful message of redemption and healing. We will also be sharing the truths about God�s desire to heal. Listen as a Norman Mathews shares how God used him through triple bypass surgery, colon cancer, and a life of ups and downs. Listen as he shares a greater miracle than the healings themselves. If you have cancer, upcoming surgery, or addictions in life, you do not want to miss this episode. Also read about the quickening experience described in the article download call "The Day I saved my father, and the day my Father saved me". Listen as Sharon McClary and Josh Crawford share how Clayton McClary exchanged the anger in his life for God's love. Listen as you hear how Clay even became a minister of the Gospel later in life. Special hosts include Mark Halvorsen, along with Mike and Pam Mathews. To listen to the full recording click on the audio file on the right side. For a download of the complete written booklet of Clay McClary's Testimony "Exchanging Anger with Love" go to the link below called Journey - Exchanging Anger with Love - Journey 5. Exchanging Anger with Love - Journey 5.